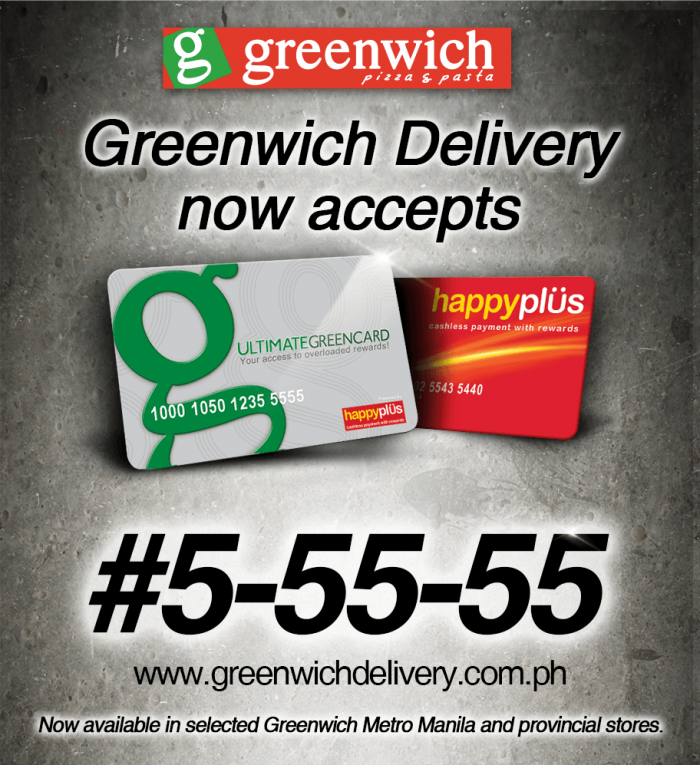 Greenwich Delivery now accepts Happyplus Card! – Valid for Happyplus Card, Jollibee Kids Club and Ultimate Greencard. – Available in selected Metro Manila and Provincial stores. – Payment combination is not allowed. – Redemption of Happypoints and Happyplus Discount Coupon is not allowed.